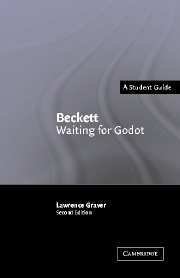 This series of essential guides is now available to a new generation of students of literature. Selected titles in the series have been updated by their original authors or by other experts in the field. The design has also been updated. The original scope of the series has been retained; each volume provides a concise and lucid introduction to a major work of world literature from classical antiquity to the twentieth century. The series engages with works across the range of genres and literary traditions. Each book is devoted to a single work and provides readings of that text, as well as a full account of its historical, cultural, and intellectual background, a discussion of its influence, and a guide to further reading. Landmarks of World Literature have established themselves as invaluable guides to key literary texts, and they have now been revised and updated to meet the needs of a new generation of students and scholars.